You'll be £15.99 closer to your next £10.00 credit when you purchase Cavalry Charge. What's this? Following on from Hougoumont and D'Erlon's Attack, Part III starts just as the great battle reaches its crisis point. Marshal Ney launched thousands of France's finest heavy cavalry against Wellington's thinning lines who had already taken a terrible battering on the Mont St Jean Ridge. Wave after wave of armoured horsemen broke against the steady squares of British, Dutch/Belgian and German troops. The crisis, however, took a further turn for the worse as the key bastion in Wellington's centre, the fortified farm of La Haie Sainte, fell to the French onslaught. The way to Brussels was now open and Wellington muttered, 'Give me Blucher or give me night'. With the situation looking bleaker by the second for Wellington and his troops, Napoleon fatefully hesitated to complete the coup de grâce as the Prussians had closed in on his right flank at the Village of Plancenoit. Would the Young Guard be able to hold Blucher's men? There was all still to play for. Shot on the very battlefields of Waterloo where the iconic events originally played out almost 200 years ago, the film is injected with authenticity using re-enacetment footage on the battlefield by the regiments of the Napoleonic Society and leading authorities on the battle. 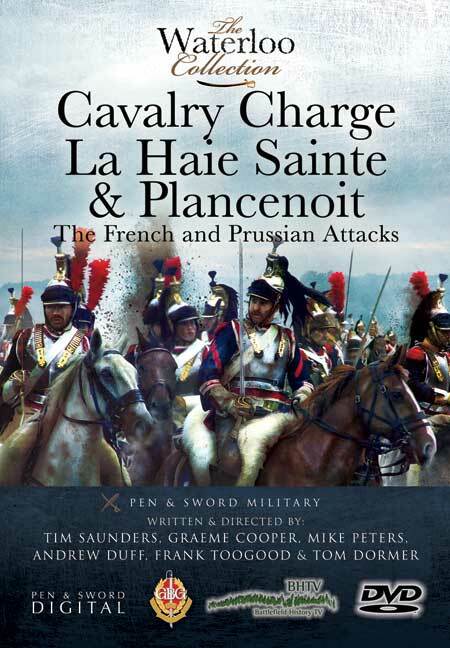 La Haie Sainte & Plancenoit: The French and Prussian Attacks is a must for all students and enthusiasts of the Napoleonic period. The narrators, who are historians and professional battlefield guides, describe the key events from each stage of the battle being discussed, while standing at the appropriate part of the battlefield. …the inclusion of interviews with individual re-enactors is an excellent feature of the DVD. ..the interviews and use of story-telling, anecdotes, maps and paintings make this a DVD that is will-worth watching. This is both entertainment and historical knowledge that will be enjoyed by all ages, from the total novice to the knowledgeable enthusiast and historian. Highly recommended.